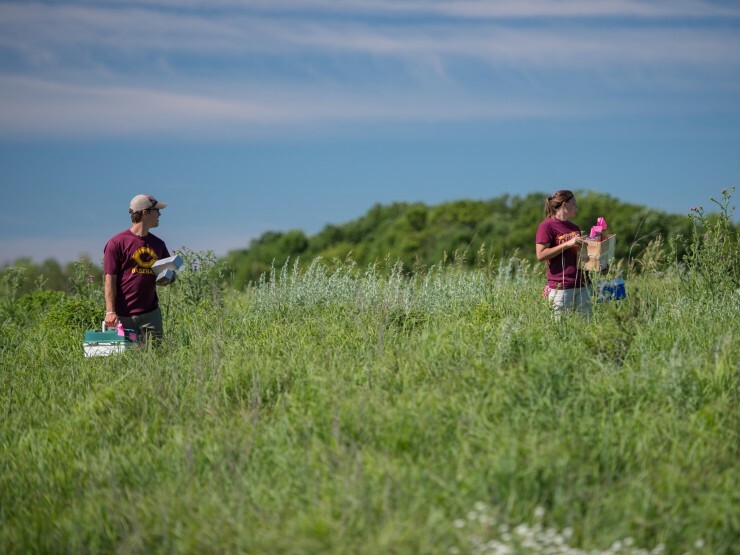 Get hands on with ecological research at this prairie field station located a short drive from campus. Students research the native bee population at Long Lake. Improvements at the Long Lake Field Station are focused on keeping the land and facilities sustainable. In 2009, the LLFS building was constructed with many sustainable features. Projects have been completed to preserve the land and provide a home for wildlife to thrive including a shoreline restoration project and the establishment of a high-density pollinator habitat. 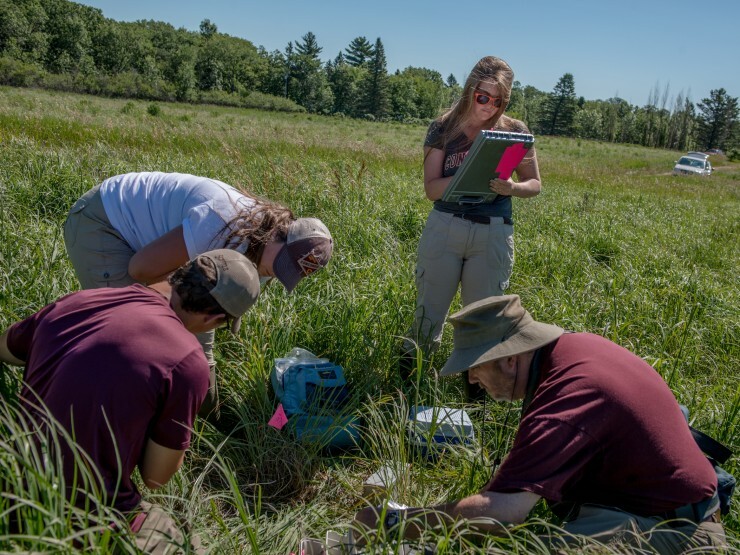 Students research native grasses at the Long Lake Field Station during the summer. Native grass at Long Lake Field Station. 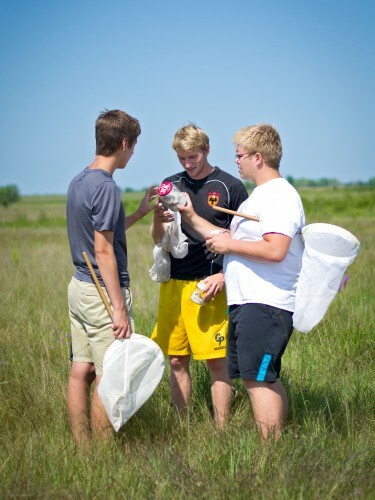 Students perform summer research on native bee population at Long Lake Field Station. Student researchers combing the field. Since the 1950s, Long Lake has been a blend of education and conservation. The Long Lake Field Station property was first owned by Col. George Johnston, one of the founders of Detroit Lakes, in 1871. Johnston owned the 6-by-6 mile plot of land until 1882 when German immigrant John B. Vetter bought the property. Vetter farmed the plot of land until he passed away at the age of 42. Between 1882 and 1947, there is a lack of records. In 1947, the property was bought by Folmer and Kris Hansen, who would eventually donate it to Concordia. They purchased thousands of feet of lakeshore property on the west shore of Long Lake. The Hansens built a small house and then surveyed the property, dividing it into lake lots in 1961 that they sold to family and friends. 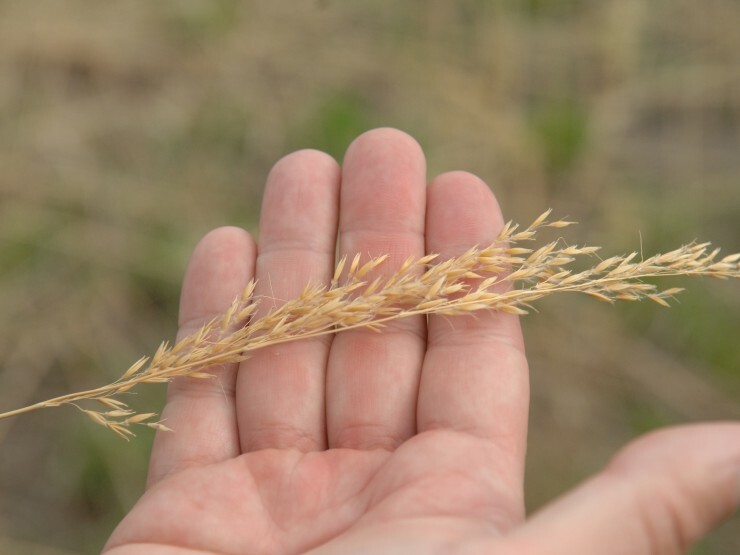 The remaining land was rented to farmers growing corn and soybeans. The Hansens had three sons, two of whom died in action during World War II. The remaining son, WWII Marine pilot veteran Don, returned to Minnesota and finished his education at Concordia College. The Hansen home was a welcoming place for friends and family to gather. They used their Long Lake property as a scenic and peaceful retreat. They were also committed to education and the well-being of the community. The Hansens opened up their home to almost 20 college students, several of them Cobbers. Housing was free of charge to the students and the Long Lake environment became a second home for them, resulting in an annual reunion for the young adults that stayed at their house. Throughout their years of owning the land, the Hansens worked hard to keep Long Lake from becoming overdeveloped. Mr. Hansen contributed to the land's protection by planting hundreds of trees, as well as keeping the area around the property undeveloped. The Hansens furthered this legacy of conservation by coming together with fellow lake property owners to start the Long Lake Betterment Association. The goal of the association was to preserve the quality of the lake and the land around it. The Long Lake Betterment Association still plays a role today in the protection of the lake. In the fall of 1975, the Hansens created a plan to donate their property to Concordia in order to preserve it as a natural area. Concordia College was granted the land in 1976. Kris passed away in 1976 with Folmer following her the next year. Concordia College has continued to carry out the Hansens’ legacy of keeping Long Lake a peaceful and pristine environment where people can come to study and appreciate the beauty of well-preserved lakeshore habitat.